Tigers and Lions are the most ferocious animals on the earth. They belong to the felidae(cat) family. They are both from the four big cats. These four big cats are Lion, Tiger, Leopard, and Jaguar. These animals reside on the top of the food chain and don't have any predators. Although Lions and Tigers both come from the cat family and having the same ferocious nature but there are some differences between them. Tigers have bold, black stripes across their bodies, on the other hand lions don't have any stripes on their bodies. Adult male lions have a large mane around their faces while tigers don't have mane like lions. Tigers are longer, more muscular, and generally heavier in weight than lions, although lions are taller than tigers. Tigers are considered more active, aggressive and agile than lions, whereas lions are lazy in a way, and will not do anything unless they really have to. Lions are generally live in groups known as 'pride'. The male lion is the head of the tribe and lives with several female lions and cubs. The female lions bring the prey for the family. They generally hunt their prey in group. Tigers prefer to live and hunt on their own. So you can say that lions are more social than tigers. 1) Comparative Size The average weight of male lion is 390 lbs (Asiatic lion) and 410 lbs for the African lion. The largest African lion is record weighted 690 lbs. 488 lbs is the average weight of the Bengal tiger and 389 lbs is the average weight of Siberian tiger. Male Tiger average weight: 579 lbs. Female Tiger average weight: 308 lbs. 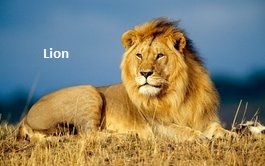 2) Temperament The lion is a social animal and they generally live in group. Tiger is a solitary animal. It is faster, smarter and more ferocious than a lion. 3) Coloring The lions have tan tail fur and dark brown mane. 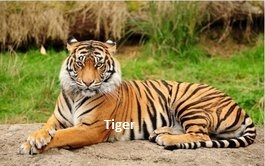 Tigers have the dark yellow or orange color with brown/black strips. 4) Sprinting speed 59 miles per hour. 37 miles per hour. 5) Litter Size A female lion produces 1 to 2 cubs at one time. A female tiger produces 2 to 4 cubs at one time. 6) Brain size The lions have the larger skull but small brain size than tigers Tigers have much bigger brains, relative to body size. 8) Bite Force The lions show the lower bite force than tigers (almost 112). They hunt larger preys in group. The tigers have shown the higher bite force than lions. The bite force adjusted for body mass allometry (BFQ) for tigers is 127. The tigers have longest and biggest canines measuring from 7.5 to 10 cm probably because they hunt larger preys alone. 9) Sexual Maturity for cubs It takes 24-28 months in captivity and 36-46 months in wild. It takes 22-26 months in captivity and 36-46 months in wild. 10) Body Length 2.2 - 3.0 meters. 2 - 3.3 meters. 11) Life Span Average 12 years for male and 12-15 years for female. Average 15- 20 years.